How does MDMA affect the brain circuitry and memory in soldiers with PTSD during psychotherapy? Current successful trials of MDMA use in treatment-resistant PTSD analyse data up to six years after use but is this period long enough to confirm that the drug was effective? 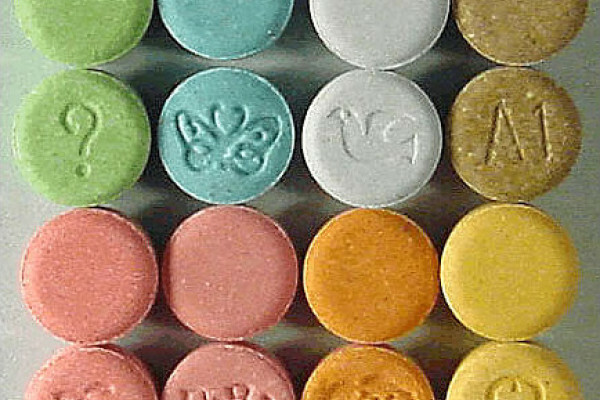 Would dependency of MDMA be of concern given the short-term use? Amy - So, MDMA which is also known as ecstasy. It's a very, very dirty drug that has a lot of different effects on the brain. A few of the things that it does is mainly to increase levels of particular chemicals - so, dopamine, noradrenalin, serotonin, and oxytocin. So, these are all modulatory chemicals in the brain that influence cognitive function in a very sort of diffuse way. But certainly, dopamine and oxytocin have been linked to feeling attached to people and euphoria and feeling good about yourself. MDMA used to treat posttraumatic stress: there has been some evidence that MDMA reduces the activity of the amygdala. So, that might be why MDMA appears to be effective in conjunction with psycho therapy which it ultimately reduce the activity of the amygdale. Hannah - And that reduces that feeling of fear and anxiety? Amy - Yes, exactly. So, the amygdala is really important. It's important for a number of different emotional memories, but in the case of PTSD for the storage of those fear memories. Hannah - And Kimberly also asked, would dependency of MDMA be a concern, given the short term use for any military personnel or anyone suffering from PTSD? Amy - So, that's a really good question. In the study, they used MDMA in conjunction with psycho therapy and they only gave three doses of MDMA. So that, I would consider as being more like the doctors giving morphine in a hospital when somebody is in a lot of pain and we know that people who are given morphine for pain in a hospital don't tend to go out and seek heroine on the street. So, you wouldn't necessarily expect people who've been given MDMA during psychiatric treatment to necessarily go out and seek it themselves. And anecdotally from that study, the authors comment that the patients really bought into the idea that it was enhancing the psycho therapy and wouldn't have thought of going and taking the drug in the absence of that psycho therapy. There's certainly no reason not to explore this as a potential therapeutic option. Previous Can we prevent PTSD? Next Why can I squirt a jet of saliva? Do video games change your brain? What do you mean when you say it is a dirty drug? ...what it means is that the molecule interacts with a range of pharmacological targets, rather than one discreet one. Therefore the effects are not atttributable to the drug acting on just one system, but many.